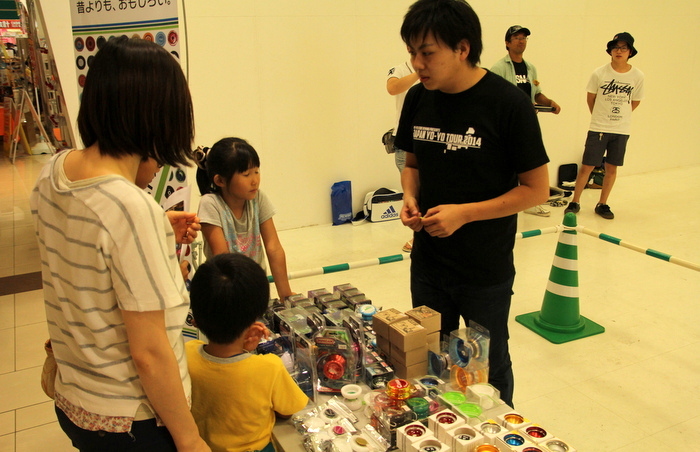 As soon as we opened the doors people went streight for the sales booth. 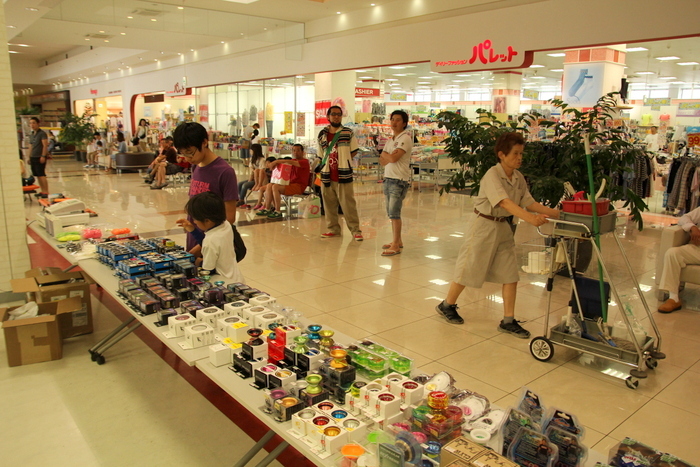 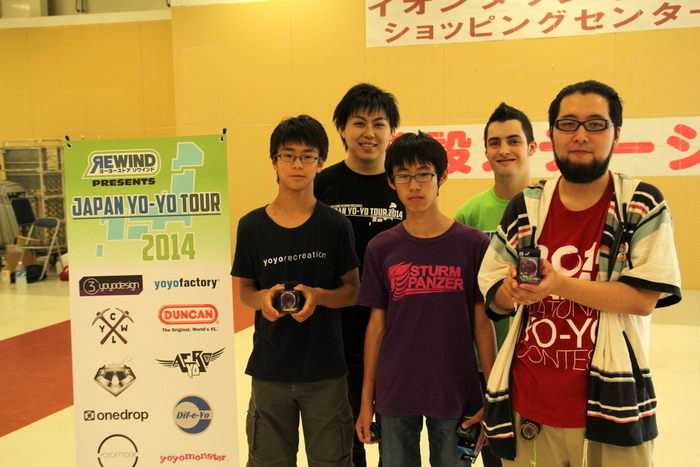 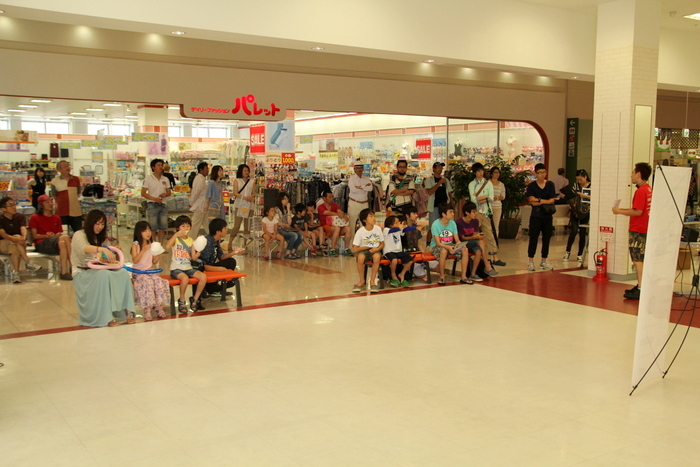 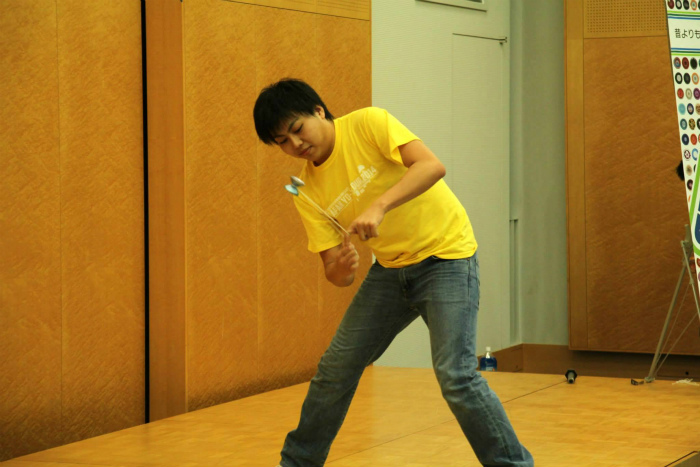 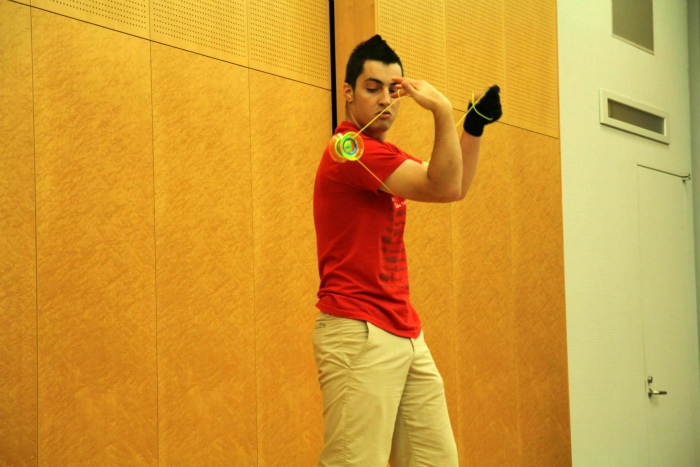 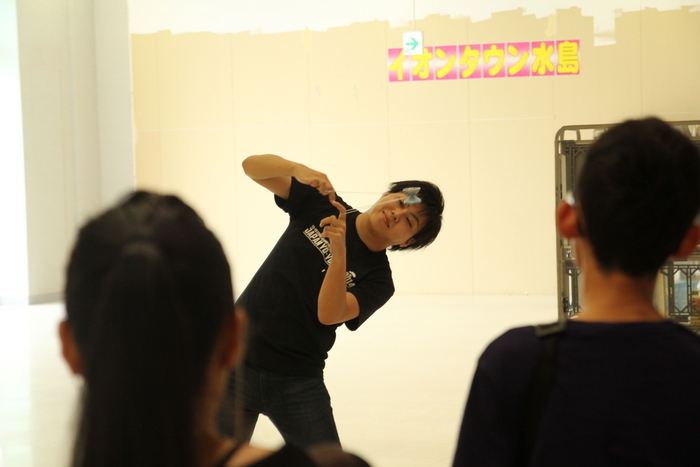 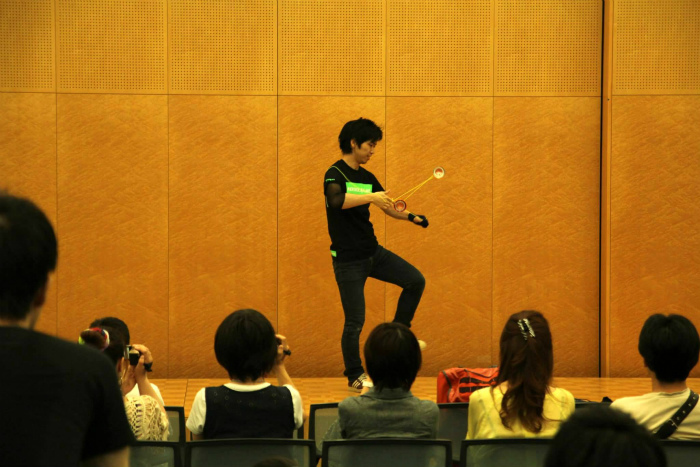 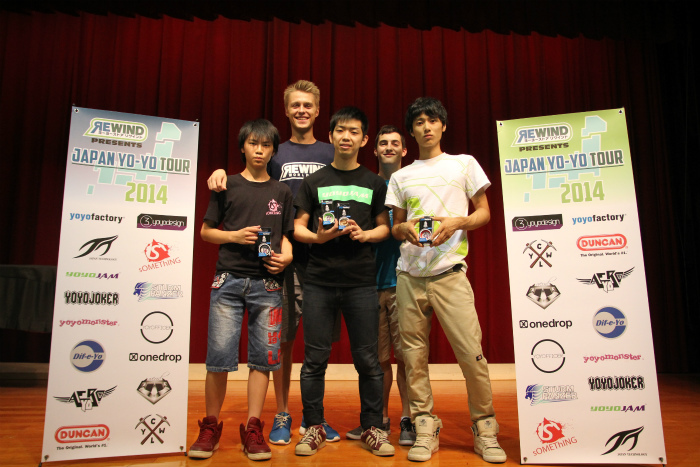 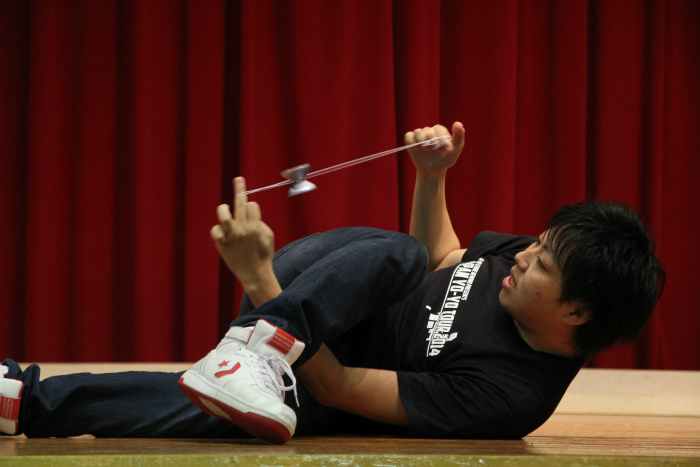 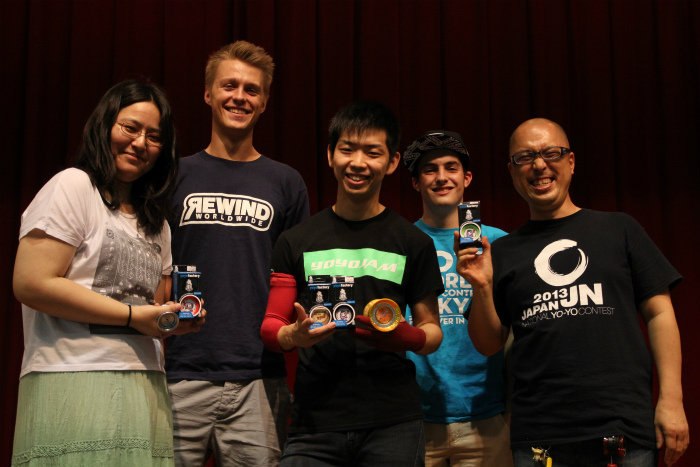 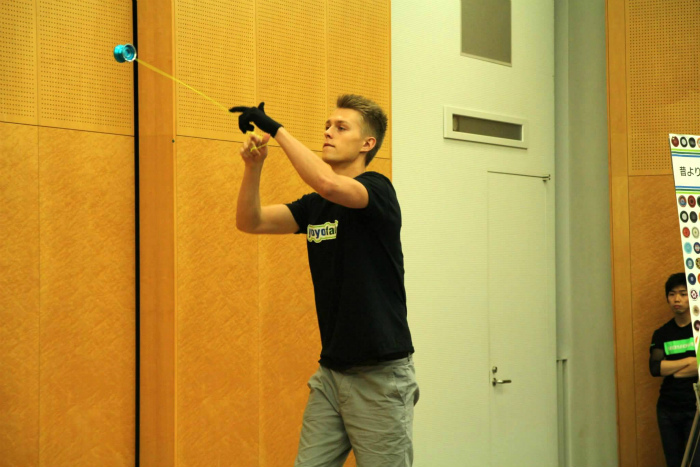 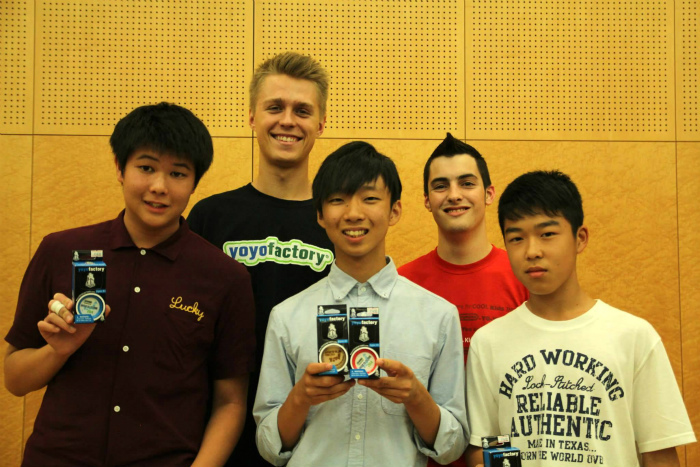 Special guest in Osaka, World Yo-Yo Champion (Team YoYoJam) Rei Iwakura. 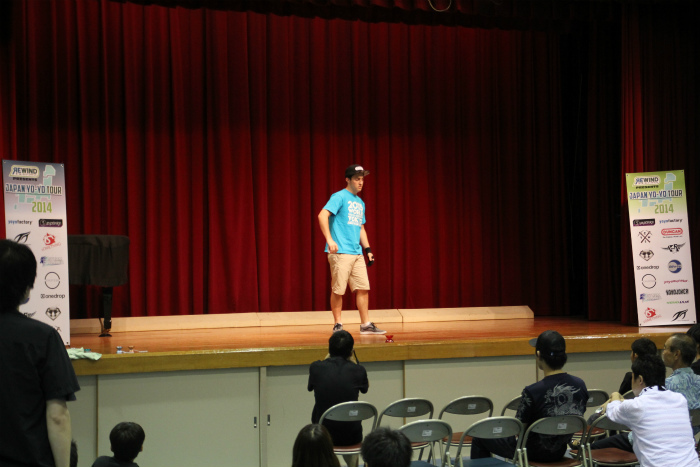 People were very impressed by his perfect freestyle. 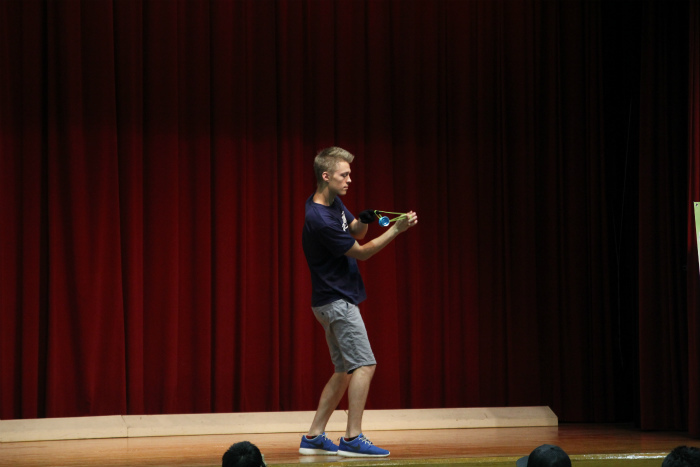 Next, our special guests from the U.S.A., Zac and Gentry! 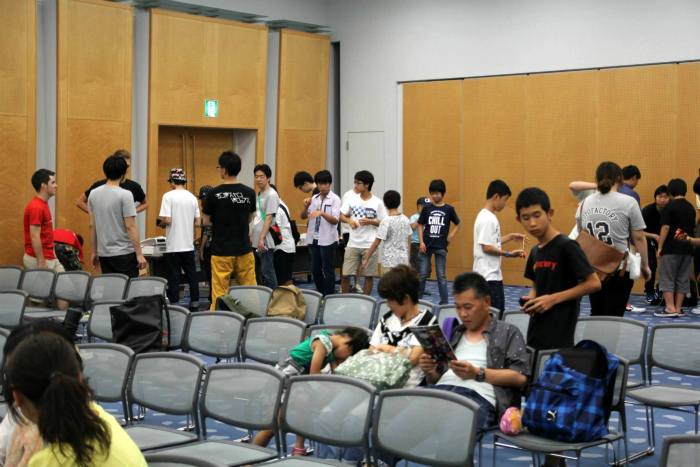 After that, they were swarmed by people for pictures and autographs. 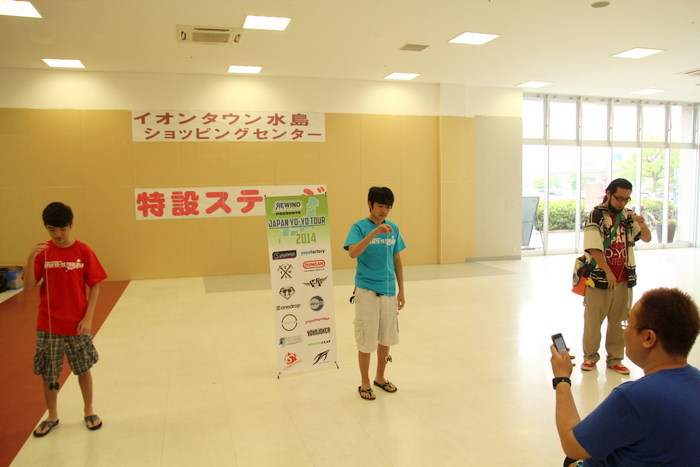 First mini contest was the 10-second sleeper contest! 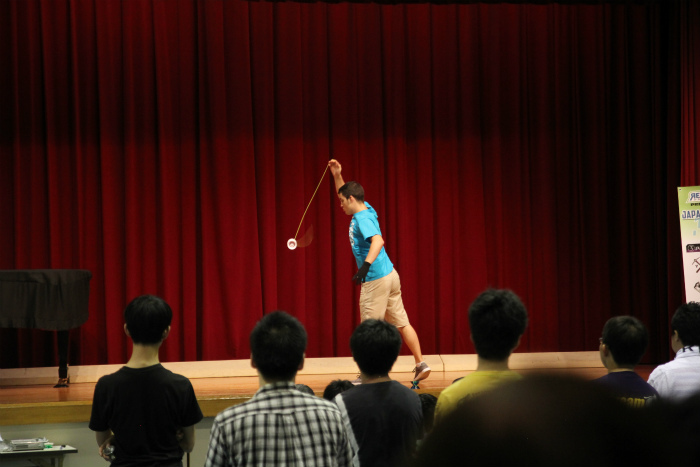 it was a popular game with everyone from beginners to world champions. 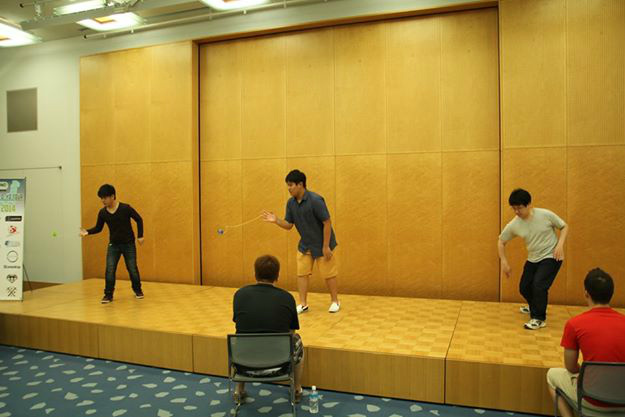 People spent their free time hanging out and exchanging tricks. 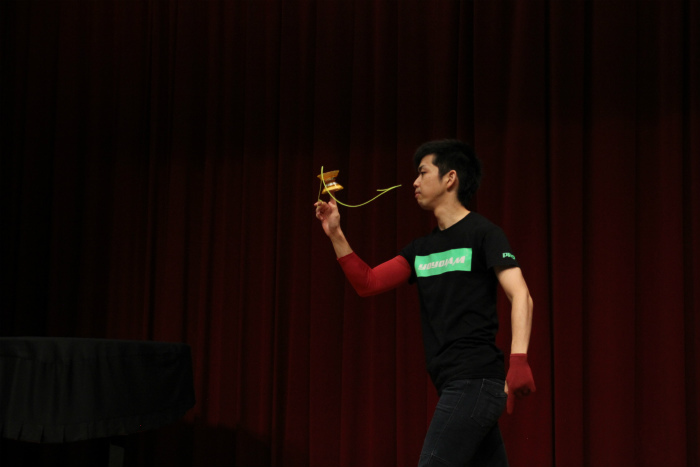 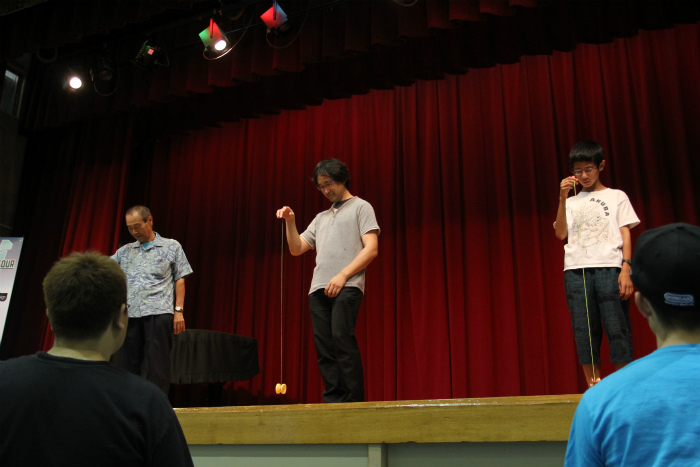 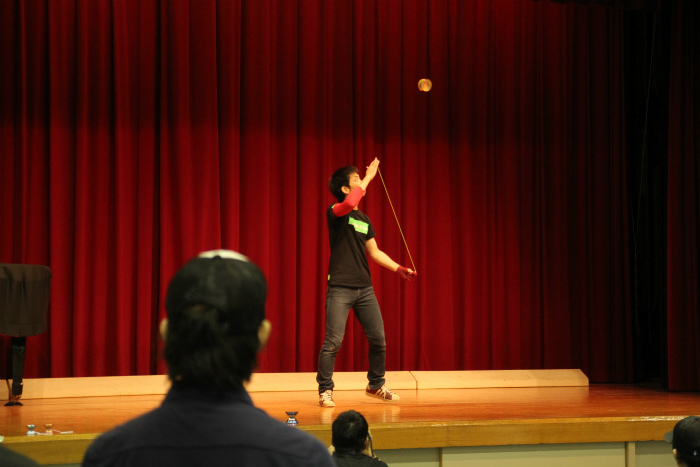 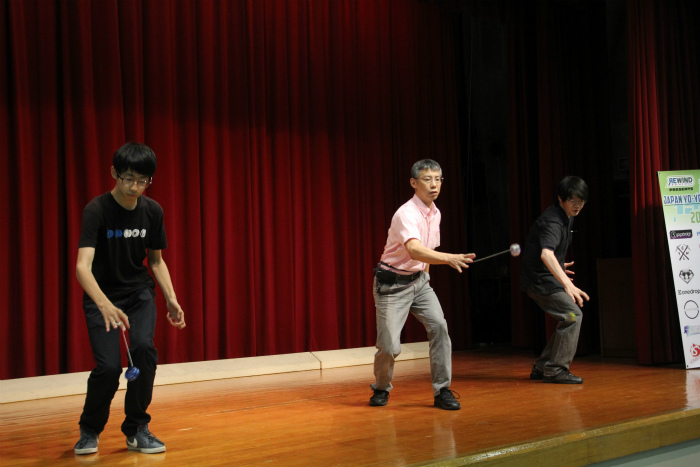 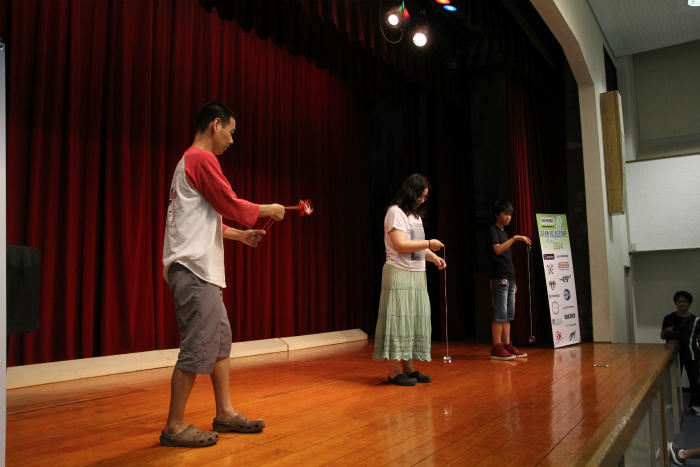 For the last demo performances, they did their World Yo-Yo Contest Finals Freestyles. 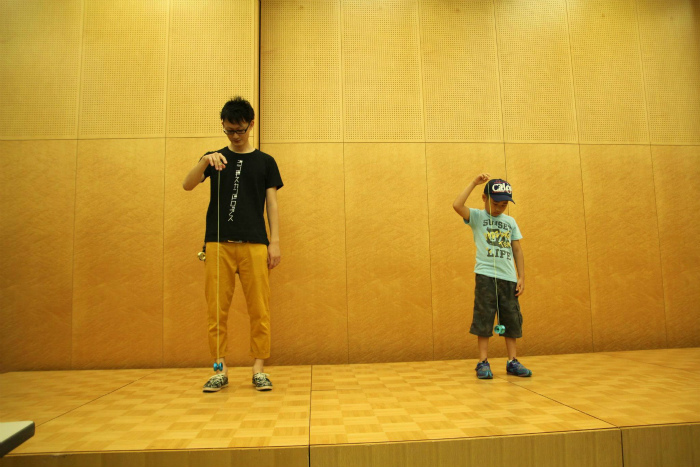 The Freestyles were so great that people got very excited! 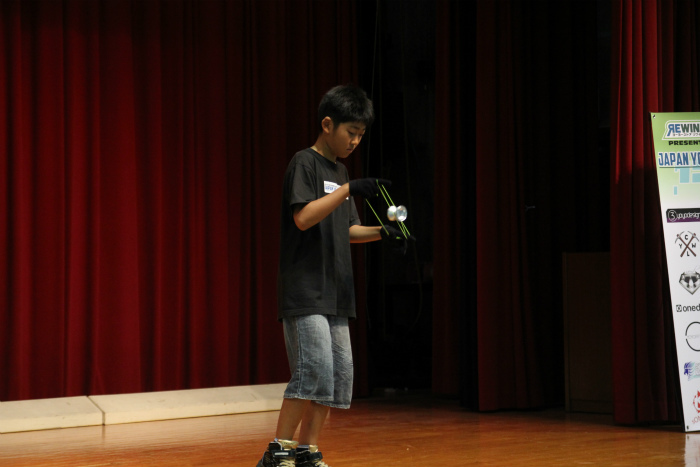 The next mini contest, Foreward pass speed challenge. 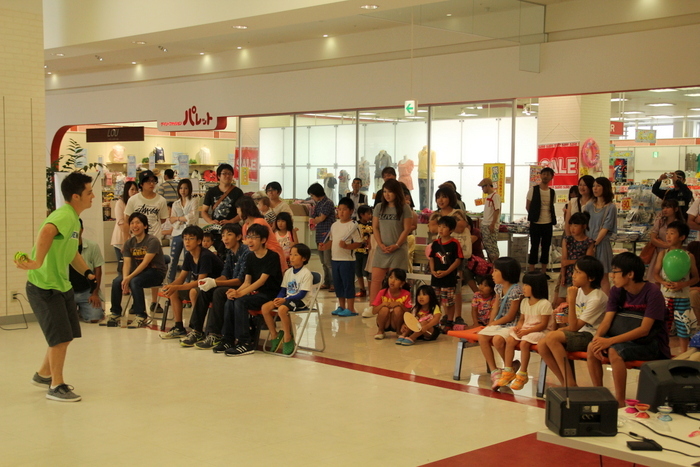 We uploaded more pictures to Facebook. 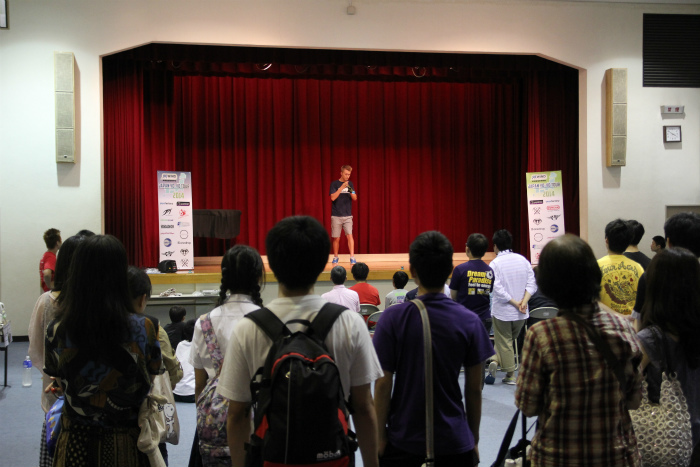 Thanks to everyone who came to our tour stop in Osaka! 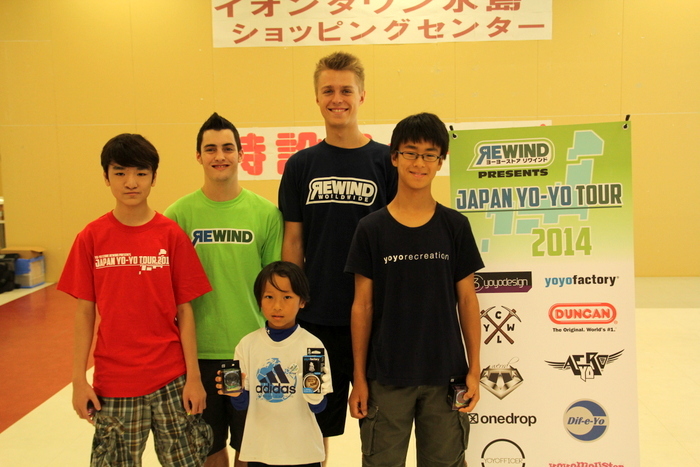 Free [Dif-e-Yo Logo] & [REWIND presents Japan Yo-Yo Tour 2014] Stickers! 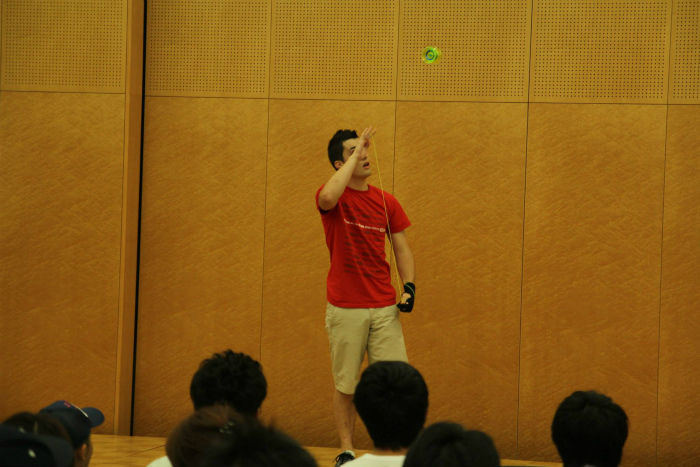 We include those two stickers to your orders between July 1 and 31. 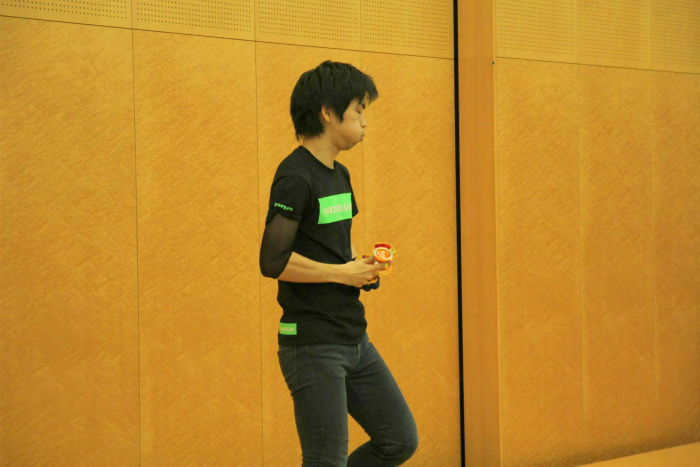 *You must place your order during the month of July. 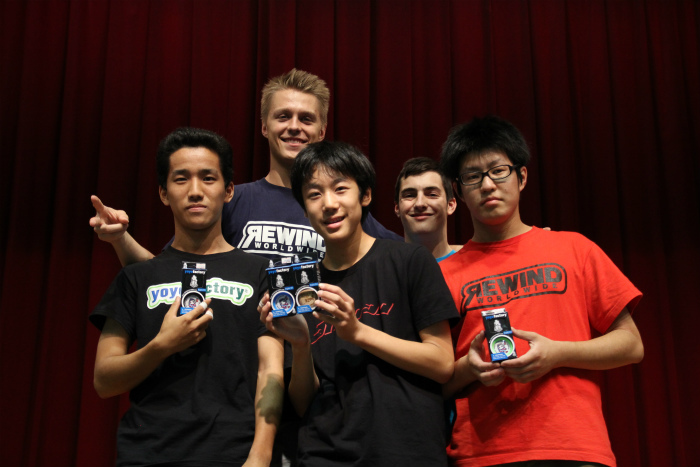 There’s a limited number of stickers, so once they run out, that’s it. 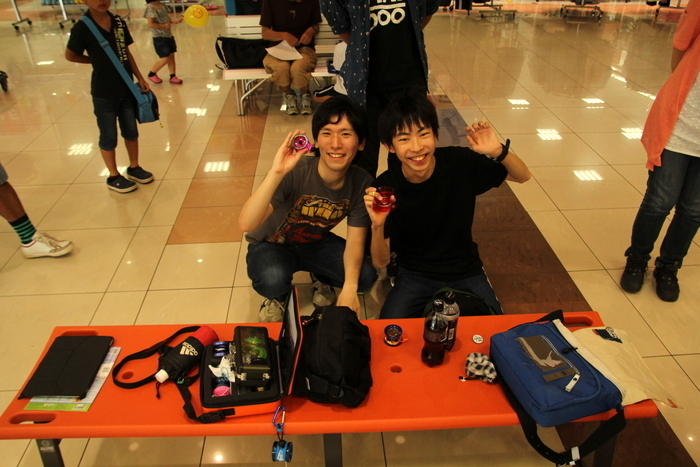 **Both stickers are 61mm x 61mm. 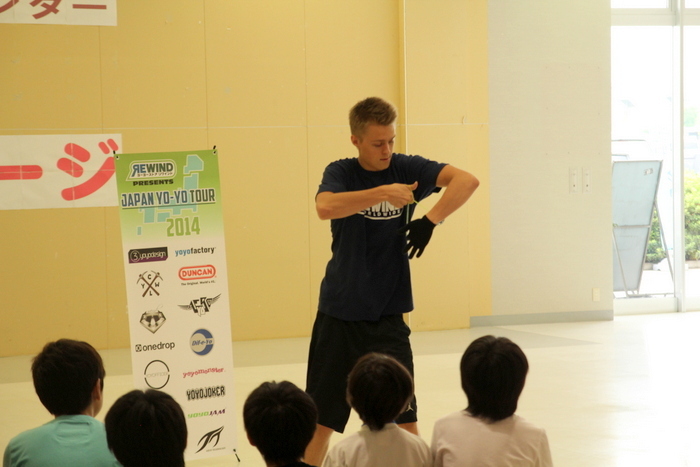 ← [Zac & Gentry Japan Trip: Day 4] Welcome to Japan!